Damaras have a long history. 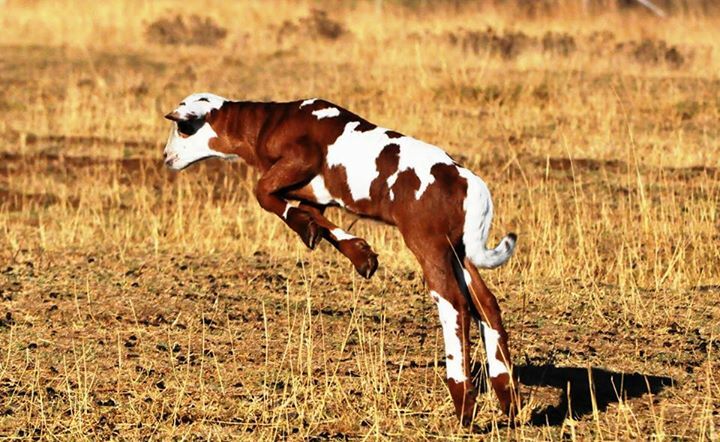 It is a breed that has been upgraded by nature over many centuries. Only the best have lived on. Nature has accustomed them to the most extreme conditions. 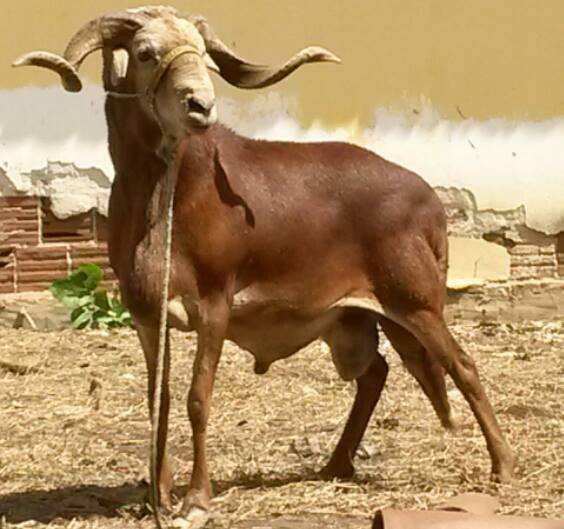 If you compare the Damara ram’s horns with the wild sheep of Europe for e.g. 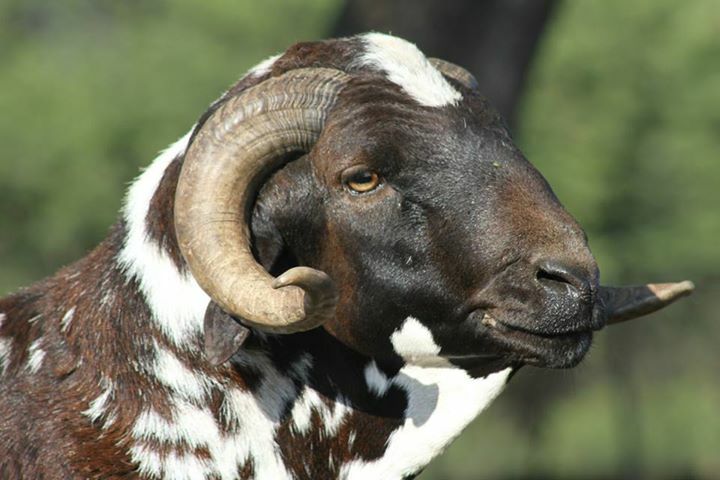 the Mouflons, the Barneby sheep and even the Aoudads of the USA, you can plainly see who their ancestors were. 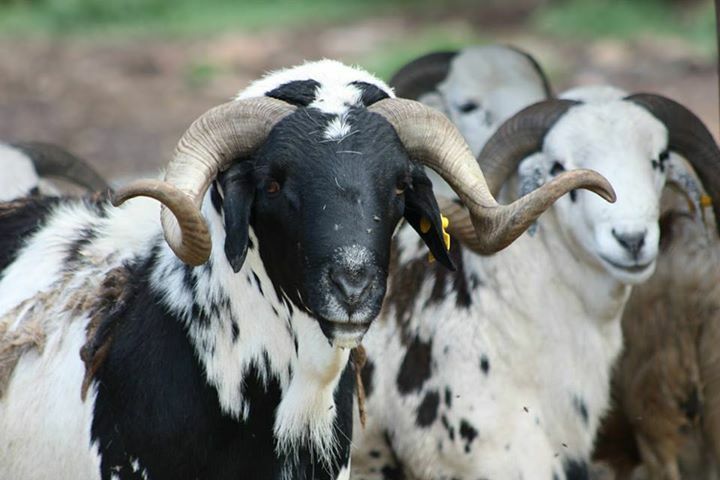 These sheep reached Africa through Europe and have systematically moved down-wards with the Black Nations, along the East Coast of Africa and spread to South Africa and then North Westwards to North Namibia and South Angola. Mr Toy Maritz had a smuggling trade with the Herero’s and Himbas of Kaokoland during the years 1941 to 1952. 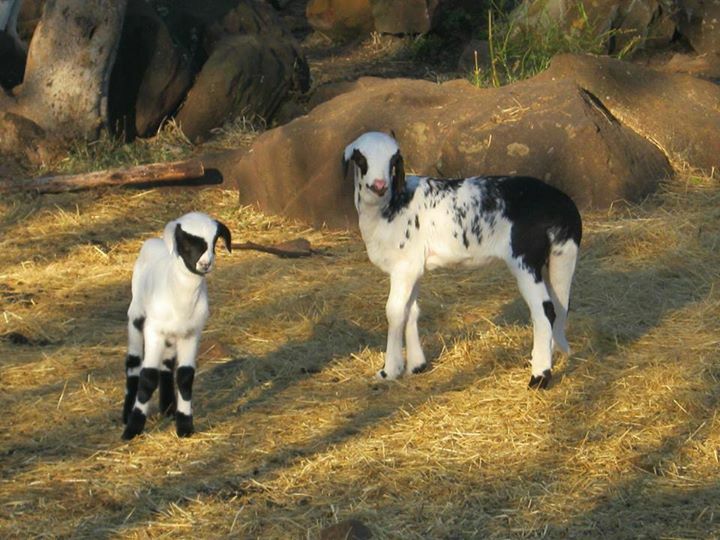 In 1954 fifty sheep were confiscated from two farmers and ended up at the Omatjenne Research Centre near Otjiwarongo. 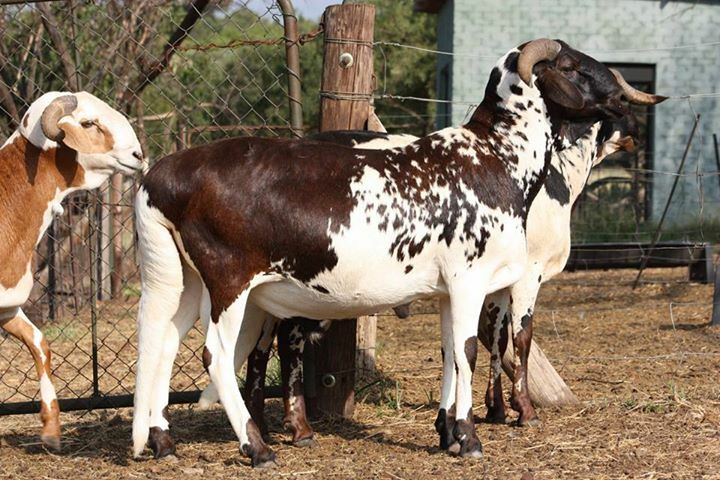 That was the start of the now famous Damara breed for commercial purposes. 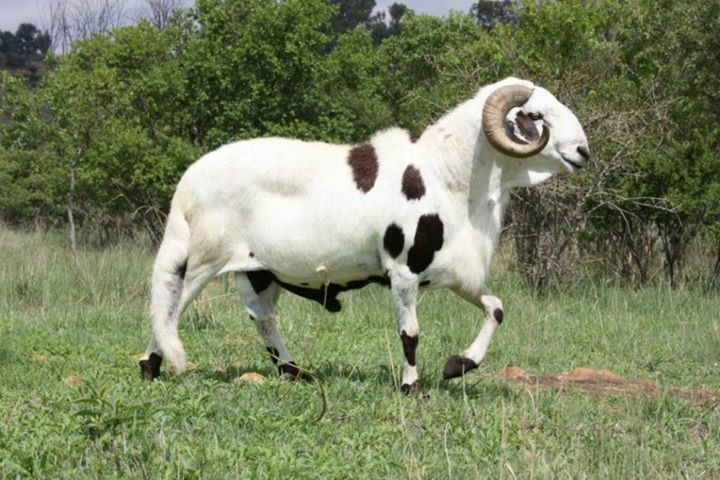 The Damara sheep has a high level of immunity to sheep sickness and a resistance to internal and external parasites. These characteristics are of high importance especially in light of the articles written by dr Jan van Wyk of Onderstepoort in the July edition of “Rooivleis”. 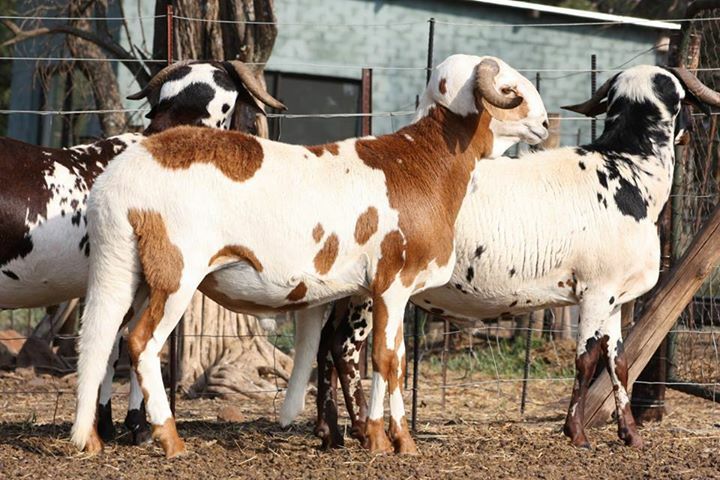 According to dr Van Wyk a resistance to all worm remedies has originated over time. 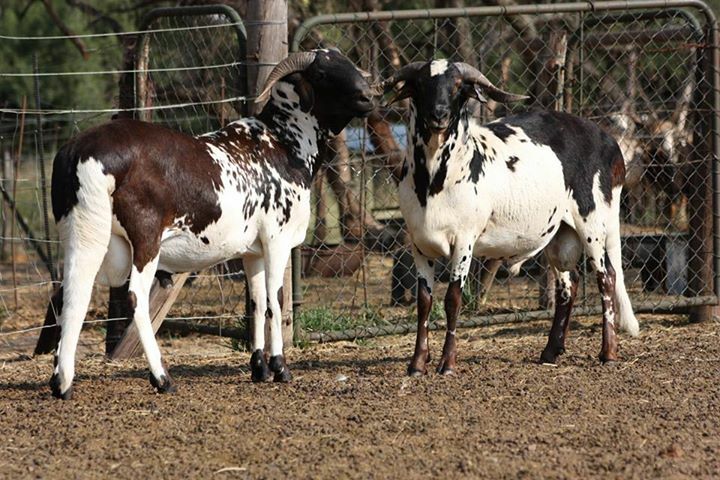 According to Dr. Van Wyk there are great financial difficulties in developing worm remedies. It cost at present about R900 million to discover and develop a single worm remedy before it is put on the market. This means that only the biggest firms have sufficient funds for such an undertaking, and even they have notably scaled down research. Most Damara farmers don’t dose at all or only once a year. 2. 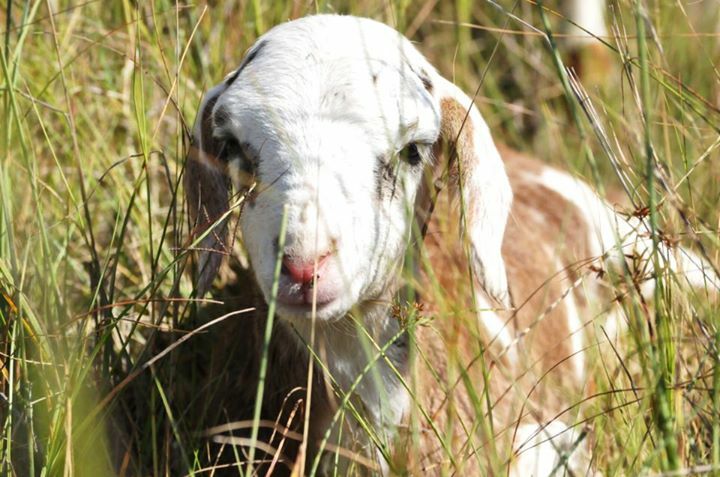 The Damara sheep is through natural selection ideally suited for extensive farming in the drier parts of Southern Africa. 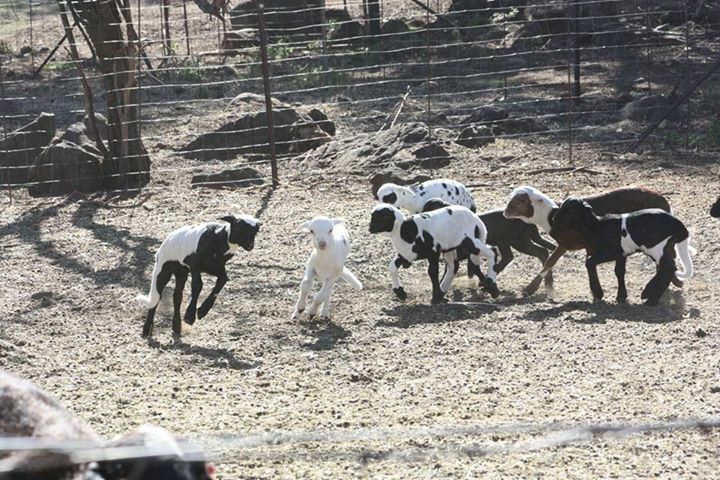 The breed is suited to any veld tipe. 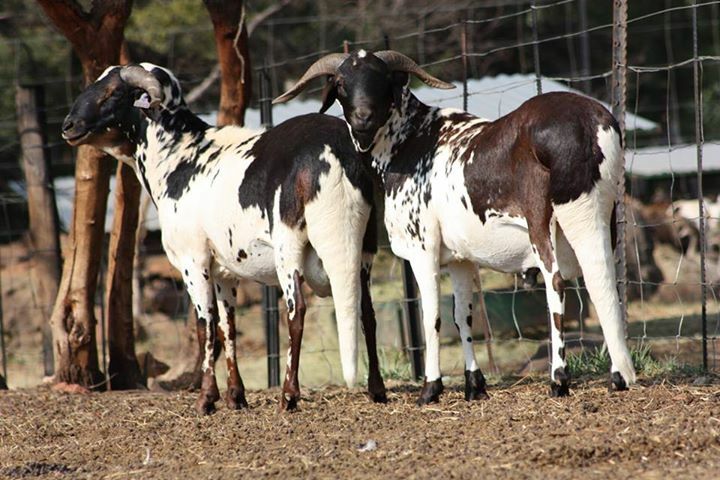 The biggest advantage of Damaras is that they utilize grass and “bossieveld” the same as other sheep, but also eat leaves like Boer Goats. 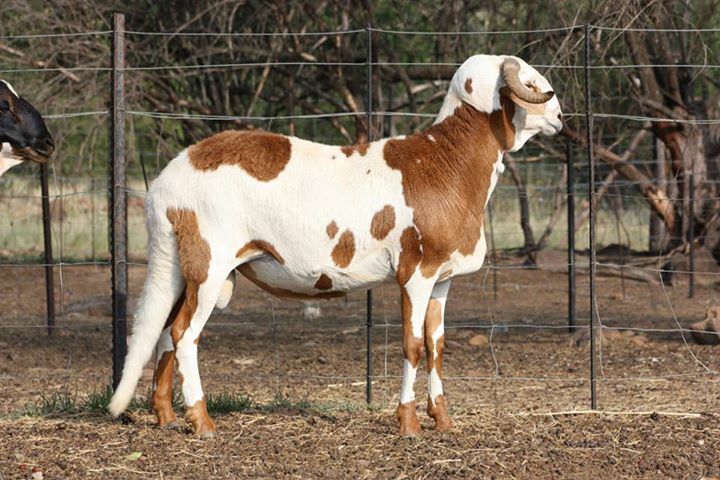 Its rump and back legs are so developed that he stands on his back legs just like a goat to eat leaves. Because the Damara is lighter than e.g. 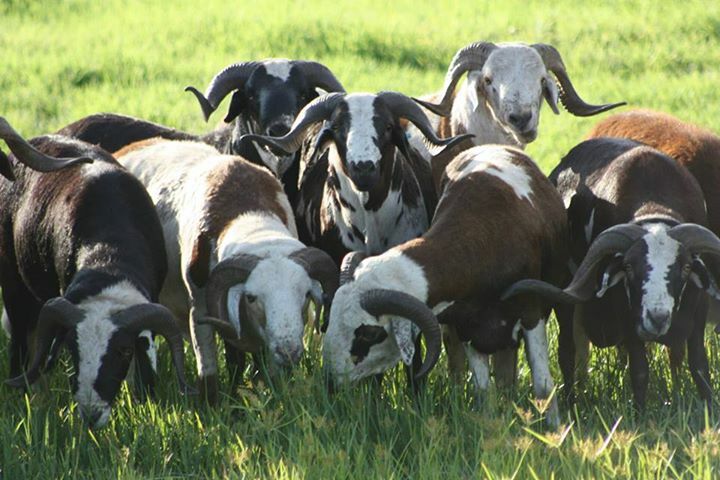 the Mutton Merino and Dorper sheep, it’s nutritional intake is comparatively less and as a result more animals can be bred in one camp as for e.g. 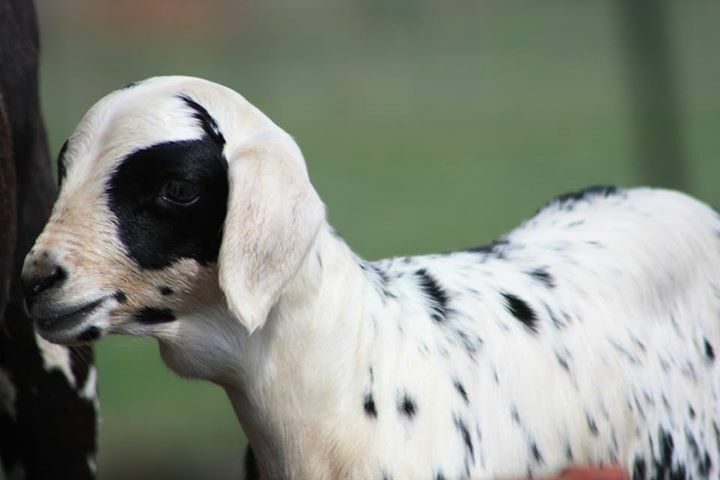 with other breeds. Therefore, where it loses per carcass, it makes up in numbers. 3. In addition to point number 2. 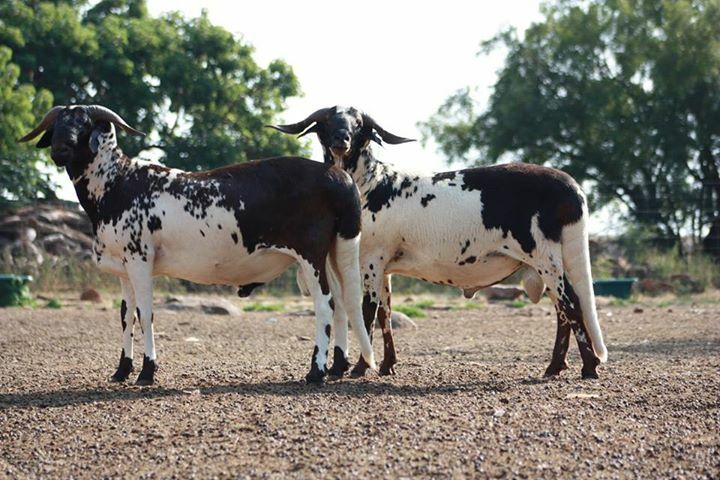 (Above), it can also be added that the Damara is particularly fertile. 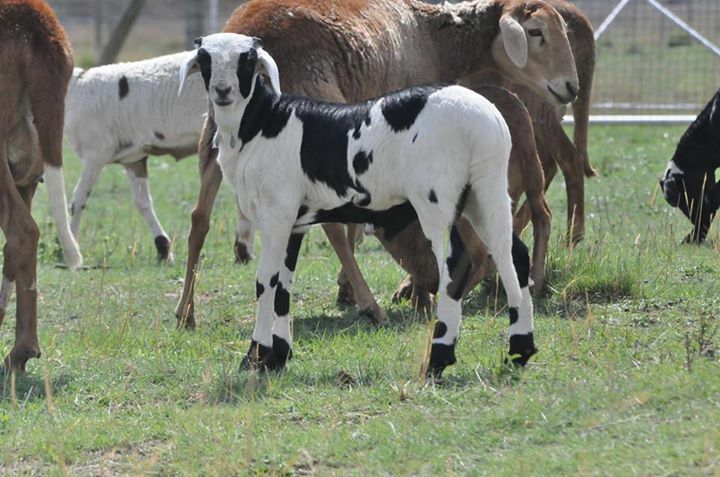 Two lambs for each year are the general average. 4. 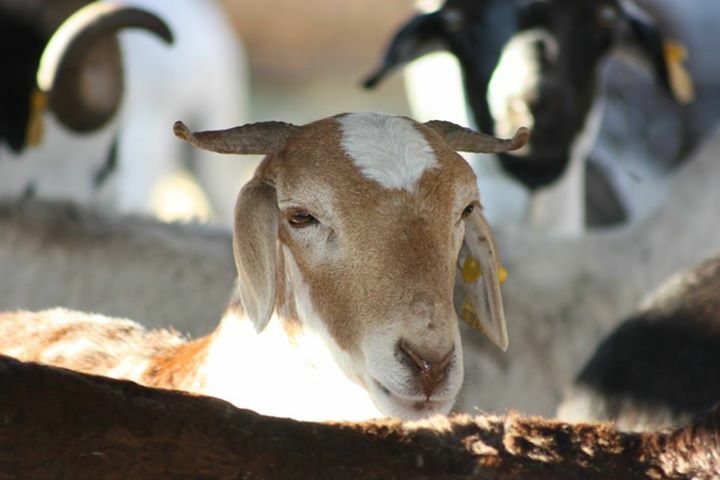 Damara ewe’s have very strong maternal characteristics. 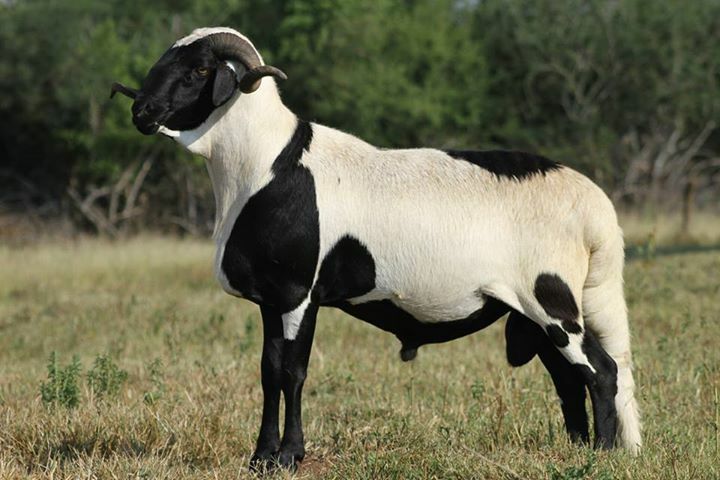 It is practically unknown of that a ewe will reject her lamb. Sometimes she will stay with her lamb alone for a day or two before joining the group. Damaras always gather in a group with the lambs on the inside, this makes it difficult for jackals and lynx’s to get to them. A Damara ewe will always protect her lamb. I have already experienced in my own herd a young ewe which lay down beside her lamb that was injured during birth to let her drink. 5. It is easy to gather Damaras, because they always stay grouped together. 6. Damaras have strong bones and pasterns. They are very good walkers and mountain climbers. These qualities are very important for extensive farming. 7. The Damara can go without water. I’ve noticed that my herds have stayed away from the water for 3 days in the winter and then when the group came to drink (they drink quickly and then leave straightaway) some left with the group without having drunk anything. 8. When Damaras rest in the middle of the day in the sun, it is usually away from cool trees and water mangers. This habit lessens the floor formation at mangers and the spreading of sickness and ticks. 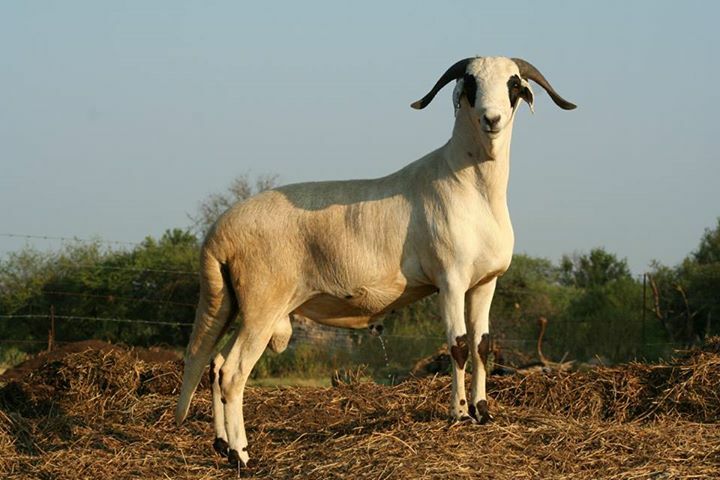 This sheep is here to stay, especially in the new South Africa where many farmers will now join the market. They will become even more valuable especially when it is kept in mind that the smaller farmers don’t have the funds and medicines to dose regularly and be immunised.